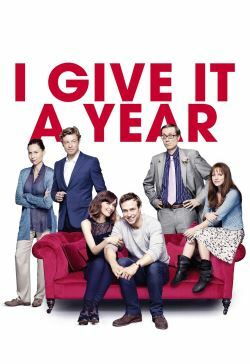 I Give It a Year is a brand new comedy from Dan Mazer, writer of Borat, which lifts the veil on the realities of the first year of marriage. Ambitious high-flyer Nat (Rose Byrne, Bridesmaids ) and struggling novelist Josh (Rafe Spall, Life of Pi) have been deliriously happy despite their differences. It appears that opposites attract, Josh is a thinker, Nat is a doer…. nevertheless the spark between them is undeniable. As they settle into real life together, the absurdities and flaws they once found so endearing and quirky start irritating the hell out of each other. When Josh’s ex-girlfriend Chloe (Anna Faris, The Dictator ) walks back into his life, and Nat begins working for a suave American client (Simon Baker, TV's The Mentalist), an attractive alternative could be on offer. But will they give in to temptation?